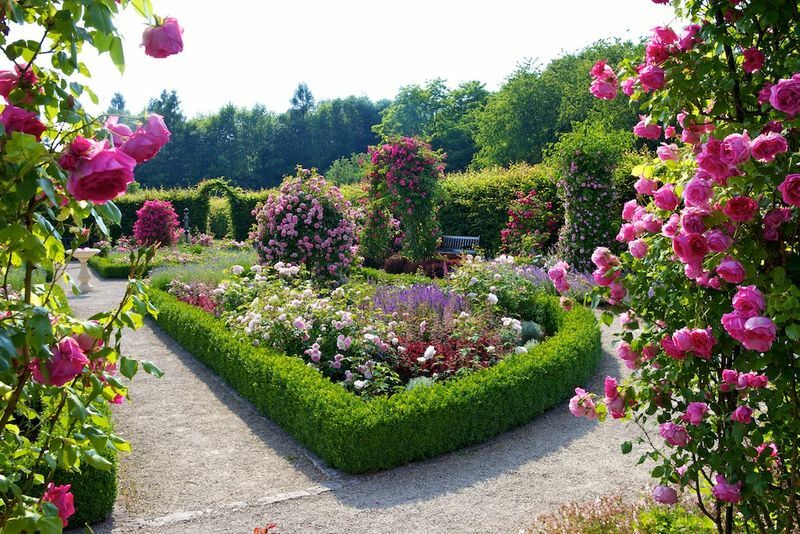 Located on the Kreuzberg plateau, the garden covers an area of 2.5 hectares. To elicit a rush of the senses – That is what the creators of this garden had in mind. Each of the eleven hedge-lined ‘garden rooms’ arouses the senses in its own particular way. The garden of fragrances takes visitors on an olfactory tour, while the touch garden allows tactile contact for better appreciation of the plants. In the garden of sounds, a variety of chiming objects set the note. A feast for the eyes awaits in every direction, from the horticultural rarities in the gravel garden to the kaleidoscopic compositions of the garden of colours. After completion, new additions, such as the barefoot path or maze, will encourage visitors to sharpen their senses even further. The same applies to the ‘green creative world of learning’, which aims to bring children and the disabled closer to nature and to enhance the appeal to senior citizens. Of course, with so much garden inspiration, a little relaxation would not go amiss so allow time for a break in the garden café. Free entrance with the Saarland Card.